'Twas the week before Christmas and in my own house I was frantic and hurrying, and felt like a louse. That was five years ago. That day I vowed I would never again get sucked into the hype of “Christmas Spirit.” Instead of running around, fighting traffic, and losing my temper with store clerks, I decided I would do whatever it took to really enjoy the holidays. After all, it's supposed to be a time of celebration and spiritual renewal. Why not make it into one? Of course, if you're at all like I was, enjoying yourself during the holidays will require changing your approach. Four simple keys can turn hurried holidays into heavenly Holy days. 1. Visualize the holiday you want. To help you do this, remember the original purpose of the holiday season. Christmas and Hanukkah both represent a time to appreciate the blessings of life, God's grace, and the end of darkness and the beginning of new light and hope. 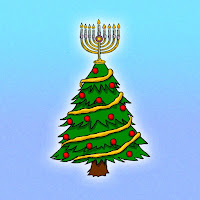 Can you remember a Christmas/Hanukkah memory from your childhood that was filled with joy, comfort, and love? That's really what we all want to experience during the holidays. Yet, sometimes it seems we're being led down a fast-flowing river toward stress, insecurity, and sadness. By having a clear picture of what a truly happy holiday season would be like, you have a fighting chance to create what you want. Without your own unique holiday “fantasy" to hold onto, you're likely to be swept into the currents of what everybody around you is doing. 2. Seek creative ways to avoid what you don't like about the Holidays. For example, if you don't enjoy running around buying a lot of presents, then don't. Most people ask themselves the wrong question when it comes to planning their winter holiday. Subconsciously, they think, “What should I do now that it's the holiday season?" If you "should all over yourself, you'll never enjoy Christmas. Instead, it's better to ask yourself, “What would I love to do to spread joy and good cheer this time of year?” Listen for your own unique answer to that question. By following your heart, you'll feel the joy of Christmas, and enliven the spirits of those you love. Each year when I ask, "What would I love to do this holiday season?" I get a different answer. One year I decided to simply write letters to friends and family and tell them how much I appreciated them. During another Christmas I sent people copies of favorite stories and jokes I had collected during the previous twelve months. No two Christmas seasons are the same. This year I've collected my favorite comics, copied them, and sent them to people I love. Although I rarely buy actual presents, many people have said they appreciate my gifts more than anything else they receive for Christmas. People like things that have a personal touch to them. How might you share with your family something that has brought you a smile or touched you in a special way? If you don't like to buy expensive presents, figure out alternative ways to express your love. 3. Give a present to your self. I don't mean another sweater or necktie. I mean something that will help you to experience the joy, peace, and sacredness of life. Last year, my partner and I spent three days in Yosemite in the middle of December. Leaving the craziness of city life for the grandeur of nature was the best present possible for both of us. This year we plan to go to a desert resort. As we sink into a jacuzzi bath while listening to Mozart, we'll be sure to reminisce about the madness we left behind back home. What would be some treat you could give to yourself that would add meaning, joy, and relaxation to your winter season? Schedule it in now, before you get too swept up in the Christmas rush. 4. Plan ahead for something that you'd truly like to do. If you're not spending the holidays with your family, call some friends and see if they're available. Perhaps you can create a meal together, play a fun board game such as Pictionary or Monopoly, or simply have a meaningful conversation. The book Life's Big Questions has over 200 questions that can spark lively conversations and help keep the spirit of your holiday alive. 1. 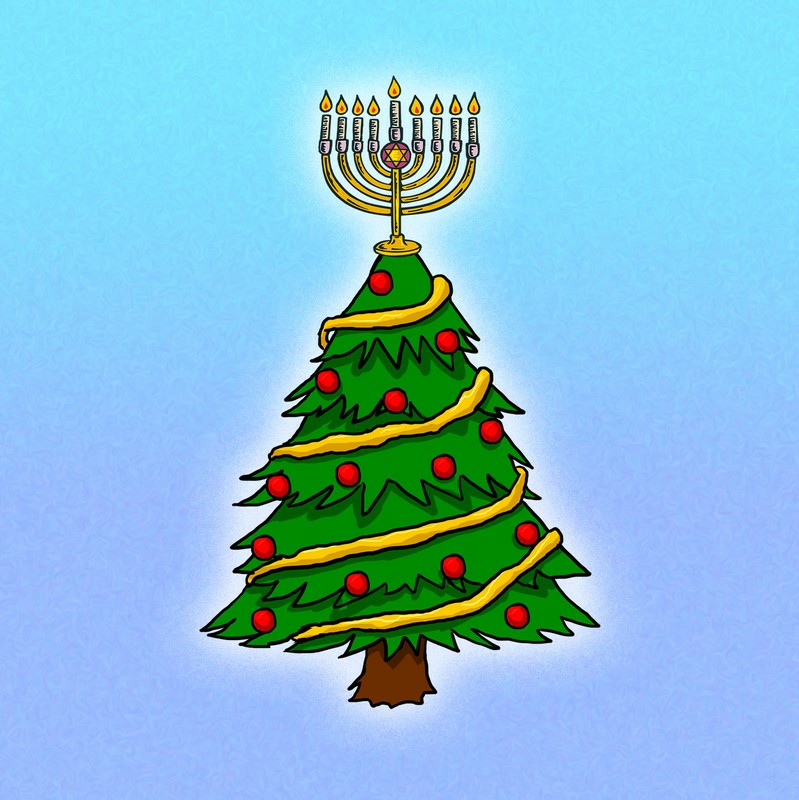 What's your favorite Christmas/Hanukkah memory? 2. What was one of the most special moments you experienced this past year? 3. What are you truly grateful for in your life right now? 4. What was the worst Christmas/Hanukkah gift you ever received? 5. What gives you a real sense of joy in life? Asking questions like these to those you love can help bring intimacy and a sense of the sacred back into the holiday season. Your fondest Christmas memories are probably not of presents you've been given, but of special times you've spent with people you cared about. Having a really good conversation with a friend or family member can be one of the best "gifts” you ever receive. The holiday season is not a time of ease and joy for most of us. If you plan to have a good holiday season, you need to be deliberate about creating a sacred time, either for just yourself or with the people you care about. By following your heart and keeping true to the original purpose of the Season, you can make this your best holiday season ever.